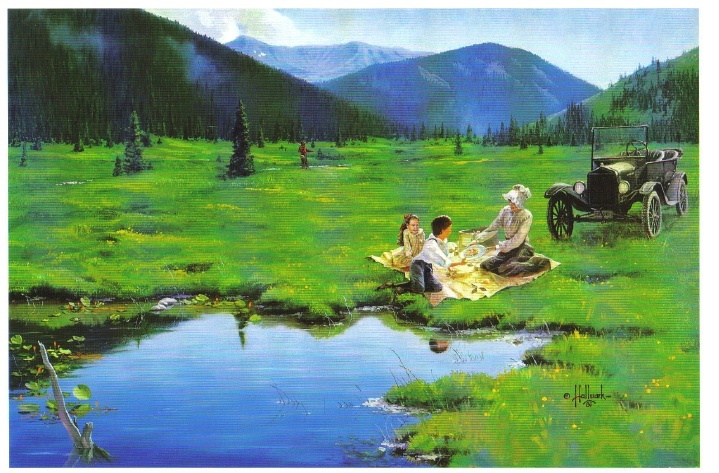 Maggie and Jimmy Crawford came to Middle Park in the summer of 1874 with their three children. Lewis DeWitt Clinton Gaskill came to Colorado as a polished young mining promoter from upstate New York, where he was born in 1840. He married Miss Nellie C. Rogers in 1865, and raised three daughters born to the marriage. 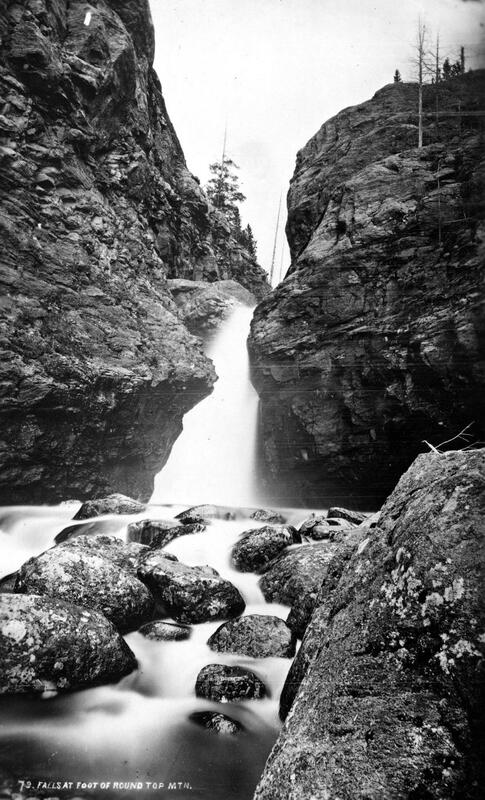 By 1874 he partnered with William Cushman to build the Georgetown, Empire and Middle Park Wagon Road, which opened in November of that year, to the great surprise of locals and professionals alike. He and his family lived at the summit of Berthoud Pass into the mid-1880s, when they built the Gaskill House in what became Fraser, CO. For a short time he was employed as mine foreman at the Wolverine Mine in Bowen Gulch, outside of Grand Lake. One of the mining camps, in fact, came to be known as Gaskill. Over the years there was significant competition between the different camps, and mercantiles associated with them. Gaskill's was one of the biggest and best. Gaskill, the camp, survived for about six years, before falling victim to the end of the mining boom. In 1896, a county-wide passion for William Jennings Bryan and his Democratic-Populist party, helped to seat Gaskill as democratic chairman of the Board of County Commissioners for Grand County. By 1903, Gaskill came into conflict with D.H. Moffat and the Denver, Northwestern, and Pacific Railway, over property and right-of-way purchases. He, along with Nathan S. Hurd, ended up settling their dispute over property values in County Court. In 1904, upon the death of Fraser postmaster, William Z. Cozens, the Fraser post office was moved to the Gaskill House in Fraser, and L.D.C. Gaskill was appointed postmaster. 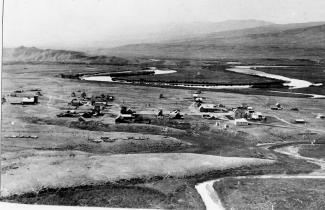 Soon after, the townsite was platted and development undertaken under the name of Eastom, but that name was soon forgotten and the area continued to be known as Fraser. "[Gaskill] was one of those quiet, easy-tempered, efficient persons who can always be depended upon.'" Captain Gaskill (his rank came from service in the Civil War) became "a major Grand County personality." Howard Henry Yust was the sixth child of Charley and Mary Yust, born April 18, 1891 on their homestead by the Blue River six miles south of Kremmling. At age eleven, Henry worked as a teamster. He and his brother Bill rode broncs at early Middle Park Fairs. 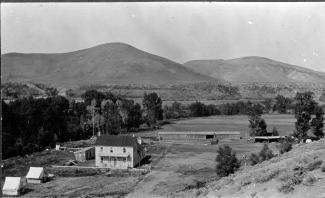 He homesteaded part of the ranch then grew potatoes Wynn Howe sold at his Troublesome store. 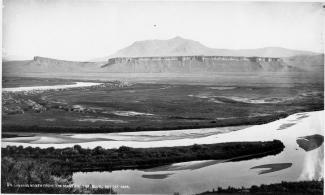 Henry and his brother Ed raised lettuce in 1924-5 where Mesa, Arizona is now. Winters, Henry and Ed broke horses. Daily they rode five miles through deep snow. The first day one brother led the unbroken horse ridden by the other brother. The next day, the two rode their two horses together, but separately to feed the Yust family cow herd at the mouth of Gore Canyon. Loose hay pitched onto team pulled sleds was pitched off in meadows. In the summer of 1931 Jack Shiltz approached Henry while he and Ed were building the first water carrying flume/suspension bridge over the Blue River and asked if he would work for Middle Park Auto in Granby as a mechanic. Henry asked Ed if he wanted the ranch. Ed said yes, so Henry left. 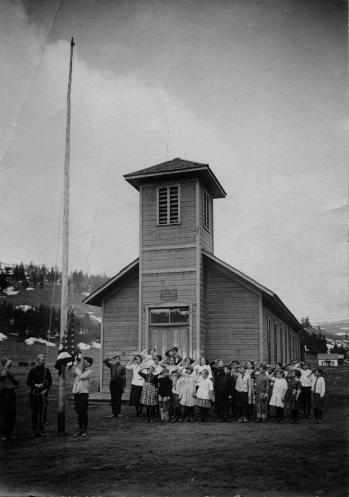 Later, Henry operated Standard stations in Kremmling, first the current Kremmling town hall, second now O'Aces Liquor. After he leased the second station to Dolye Likely, Henry operated a rock shop where he sold jewelry he made. July 7, 1943 Henry married Mary Anna Ostergaard. They raised Mary's nieces Willa Jo and Donna Dee Ostergaard. On his last visit to Kremmling August 30, 1980 Henry showed Jim Yust the location of Elliott's cabin on Elliott Creek three miles south of Kremmling. Elliott squatted on land now owned by Blue Valley Ranch when he was killed by Indians taking revenge for the killing of Chief Tabernash. 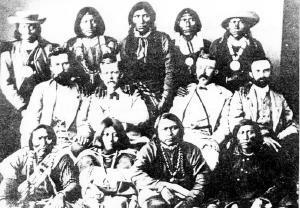 This band went on west to participate in the Meeker Massacre (1879). Henry died Election Day November 4, 1980 in Northglenn, Colorado.